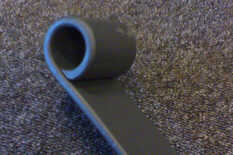 HST Parabolic Springs will allow more axle movement due to their typical characteristics and lack of interleaf friction. HST Parabolic Springs have a slightly higher spring rate and in combination with special shock absorbers it will give more stability to the vehicle at all speeds, on- and off-road. 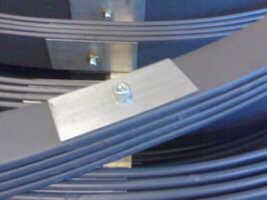 HST Parabolic Springs are modular. 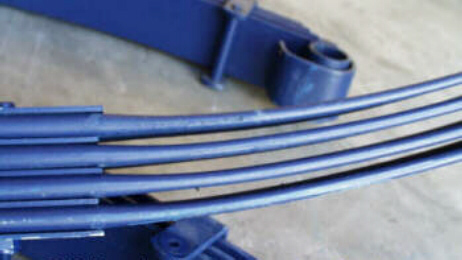 Separate leafs can be added, to increase load capacity, or removed, to lower the spring rate, without compromising the structure of the spring itself. Basically a HST Parabolic Spring is a spring that consists of two or more leaves. The leaves touch only in the center, where they are fixed to the axle and at the outer ends, where they are fixed to the vehicle. In between those two points the leaves do not touch each other as they do with conventional leaf springs. Each leaf represents a complete spring in it's self and will act as such. To enable this the leaf is tapered, from the center (thick) to the outer ends (thin). 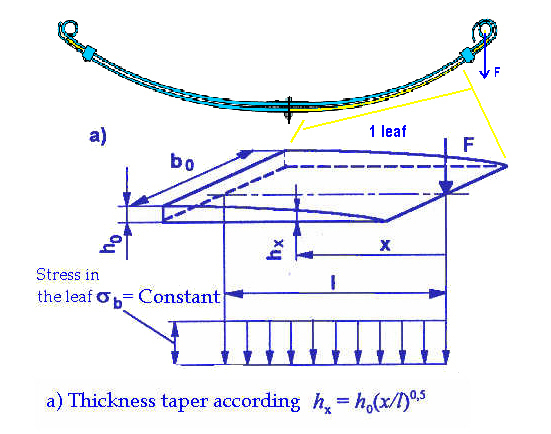 This tapering is parabolic, it means that every centimeter (or inch) the thickness of the leaf decreases in an amount that relates to the square function of it's length. 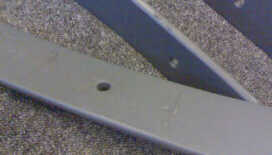 Above: Tapering in an "ideal" mono leaf spring. You can see that one leaf has a similar shape as a multi-leaf spring. Below: You can see the tapering in the leaves of the spring. The leaves taper from the center till the end (eye) and are separated by distance blocs to prevent contact. What is included in the HST Parabolic Suspension kit? The HST springs are being produced by an European factory who makes them according our strict description, drawings and quality standards. Every individual leaf, made out of Chrome Vanadium steel, is tapered, rolled, punched, heat treated and finally dip painted in special corrosion preventing paint leaving a thick layer. When the paint is dry the springs are being assembled. All accessories are galvanized to ensure durable protection against the elements. HST designed and protected "eXtraDura" poly urethane interleaf blocs are fitted between the leaf ends to prevent steel-to-steel contact and to improve further ride comfort by eliminating friction. 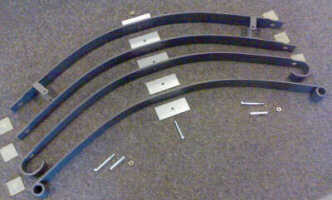 Above: The layout of a typical 4 leaf spring. Clearly visible are the individual components. Below: The individual components are galvanized. The bolts are of a high grade steel and are metric. Below: Details of the individual leaves showing all quality aspects of a good product. All these shocks are also used by competitors in world rally events and are made to the highest standards. Bushes: All kits will have the tested and proven durable HST PolyUrethane bushes as standard. U-bolts: Top quality, yellow zinc plated, U-bolts are made from high grade steel with rolled metric 'fine' thread. 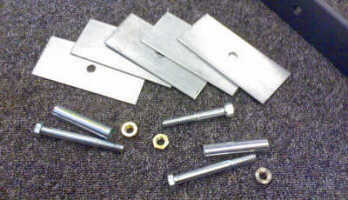 Secure nylock nuts are supplied in the kit as well as thick washers. Additional fitting material: If the vehicle requires additional fitting material, like gearbox lowering kits, they will be included in the kit. 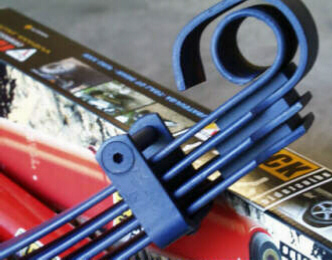 The original springs bolts and shackles can be used since our springs are 100% interchangeable. Note: No welding or modification is required to fit the suspension kits. HST Parabolic suspension systems are warranted against defects in material and workmanship for 2 years or 40.000 Km, from date of purchase. Labor or shipping charges are not covered. Components which have been abused, fitted to rally / race vehicles or fitted in combination with non original modifications, like body lifts etc., are not covered by this warranty. © 1997 - 2008 Heystee Automotive b.v.